Her sisters are known for their famous derrieres. And Kendall Jenner made sure that all eyes were on hers for her latest campaign. The 21-year-old reality star put on quite the eye-popping display in mages of her modeling upcoming Kendall + Kylie clothing line released on Wednesday. Her pert posterior was on full display in a clinging white thong bodysuit as she posed in a field of daffodils. She also showed off the revealing garment - which retails for $65 - while wearing a pair of jeans full unbuttoned in a few other snaps. Not to be outdone her sister Kylie Jenner showed off plenty of cleavage in a low-cut LBD. The 19-year-old showed off her curvaceous figure in a bodycon knit rib corset dress - which retails for $250 - featuring latex around the torso. The new photos come just a day after prior images were released of Kendall sizzling in a Latex bustier dress that looked like it was made for the very brave. It retails for $395. Jenner sat on a vintage convertible car as she gazed into the camera. The Calabasas native touched her chest, bringing attention to her pretty gold necklace. Keeping the vibe youthful, the Keeping Up With The Kardashians star added a cap. The reality diva was leaning on a vintage sedan in a flattering orange tone that matched her dress. And the shoot was not done in LA; rather it must have been shot in a tropical location because the foliage was lush. The family was recently in Costa Rica, so that could have been the setting. Sister Kylie also shared a video that showed herself in a black dress. The number was skintight as it hugged her enviable curves. 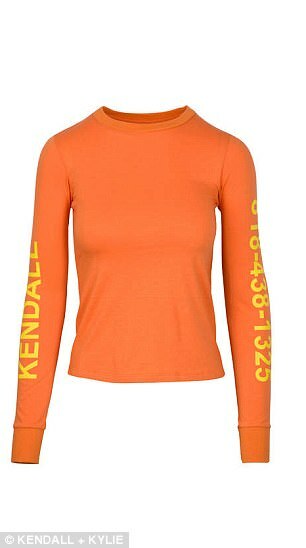 The 19-year-old was on the same vintage orange car Kendall leaned on. The site has a description of the company the girls launched. 'KENDALL + KYLIE is global lifestyle brand created by beloved style icons and fashion authorities, Kendall and Kylie Jenner. 'With a unique and simply unparalleled presence across the digital landscape, Kendall and Kylie have defined themselves as two of the most popular icons and personalities of this generation. 'Their clothing captures the unpredictable essence of today's young fashion lover: confident, stylish, on trend and in charge. 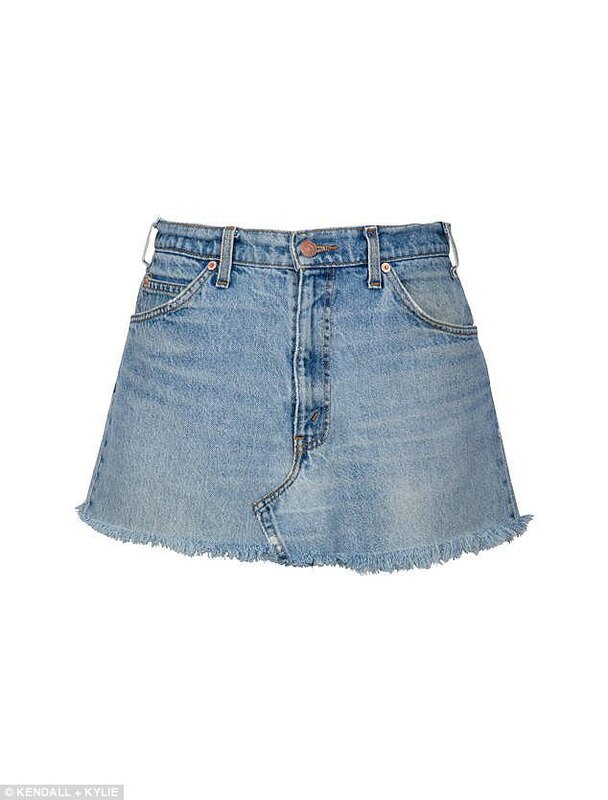 'Starting in 2012, the Jenner sisters launched a highly successful juniors collection with Pacsun, sprouting numerous follow-up seasons and an unabashedly loyal fandom. They came out with another line in 2016 as well. Meanwhile, Kendall has been splashing about in France with her sister Kourtney. Yesterday she was seen hugging model Naomi Campbell.